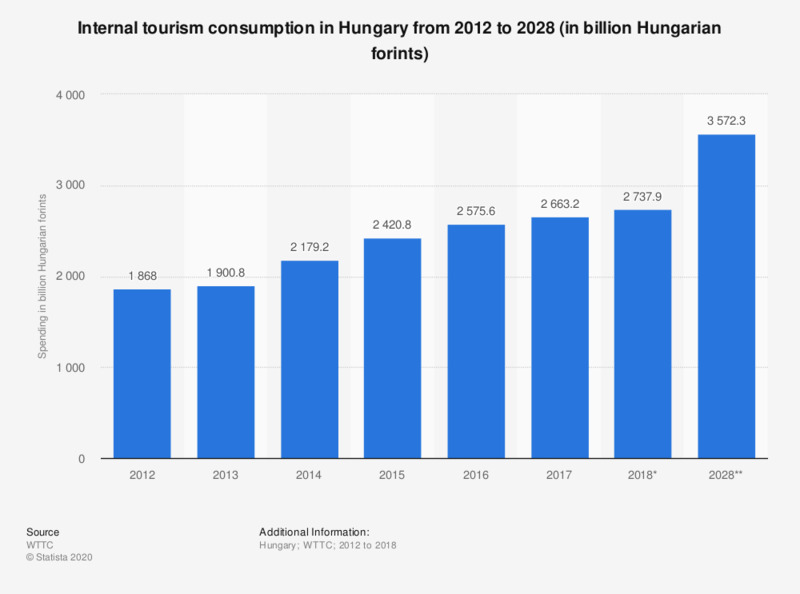 This statistic shows internal tourism consumption (inbound and domestic expenditure) in Hungary from 2012 to 2018, with a forecast for 2028. Internal tourism consumption in Hungary reached around 2663.2 billion Hungarian forints in 2017 and was forecasted to reach 3572.3 billion in 2028. Internal tourism consumption refers to the total revenue generated within a country by industries that deal directly with tourists including visitor exports, domestic spending and government individual spending. This does not include spending abroad by residents.